If you wish to view the timestamp data in high resolution, you will need to open the *.CSV file with Notepad or Wordpad. If you use Microsoft Excel to open the file, Excel will round the timestamp data, preventing you from viewing it in high resolution. *.CSV is NOT an Excel file format. If you open the *.CSV file with Excel and save over the original file, you will destroy the high resolution waveform data. Please see the attached CSV file for an example of high resolution timestamp data. 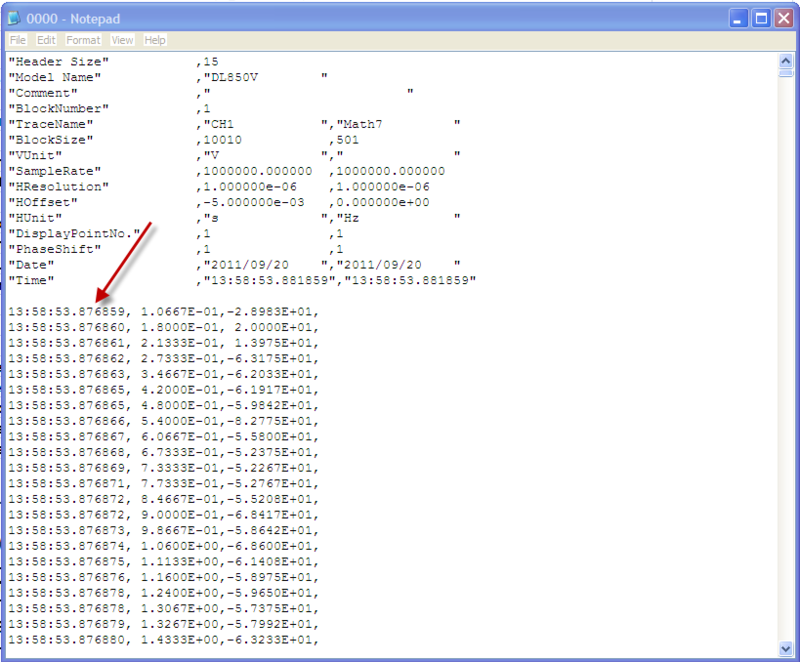 The CSV file should look like the notepad_example.jpg if you opened the file correctly.